Amy and Shelton had heard it all. Pessimistic doctors, discouraged nurses, confused specialists. It had come to a point where every time they walked into a hospital they were prepared to receive more bad news. There were so many opinions, second opinions, suggestions and comments that the outside world was trying to impose on them about their newborn son. But Amy and Shelton tuned them all out. After years of trying for a baby and 7 failed fertility treatments, they had won their prize. He was in their arms. He was breathing; he was alive. He was perfect. 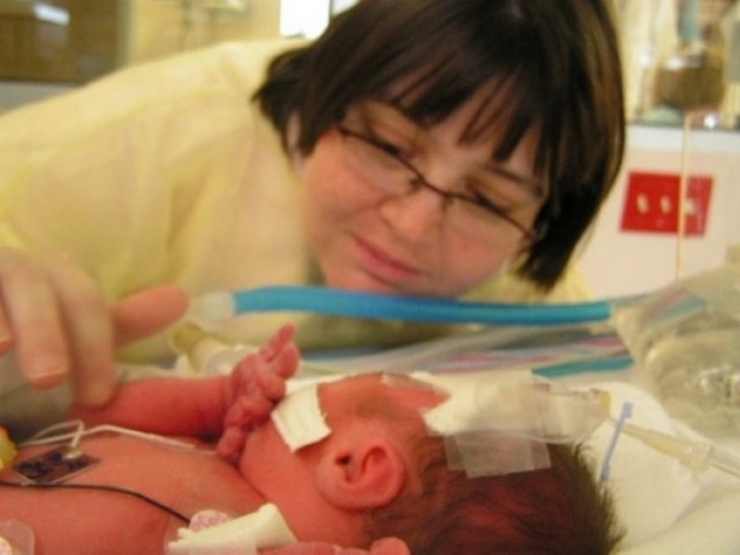 When they looked down at their infant son they only saw one thing: a fighter. In the years ahead, the world would create more labels for Dalton: 16p13.11 Microdeletion Syndrome, Cerebral Palsy, Spastic Diplegia, Low-functioning autism, Epilepsy, ADHD, Social anxiety, Impulse control issues, and Cortical blindness. Each diagnosis hit the new parents like a truck. Each brought another level of grieving, mostly for the life they had expected for Dalton, the independence he may very likely never achieve. They received each blow like any parent: they steeled themselves for the worst, they fell apart, then they looked at Dalton, and they picked themselves up kept moving forward. Here’s Amy with her newborn son. Her labor had been a whirlwind: she went in for a scheduled ultrasound, but wasn’t feeling very well. Nurses immediately froze, telling Amy “Don’t move. You’re in labor and we’re trying to stop it.” She didn’t realize when she came in that she was going to meet her son two months early. Her water broke at 6:45 and Dalton came into the world at 6:52. 5 weeks in the NICU later, he got to go home. 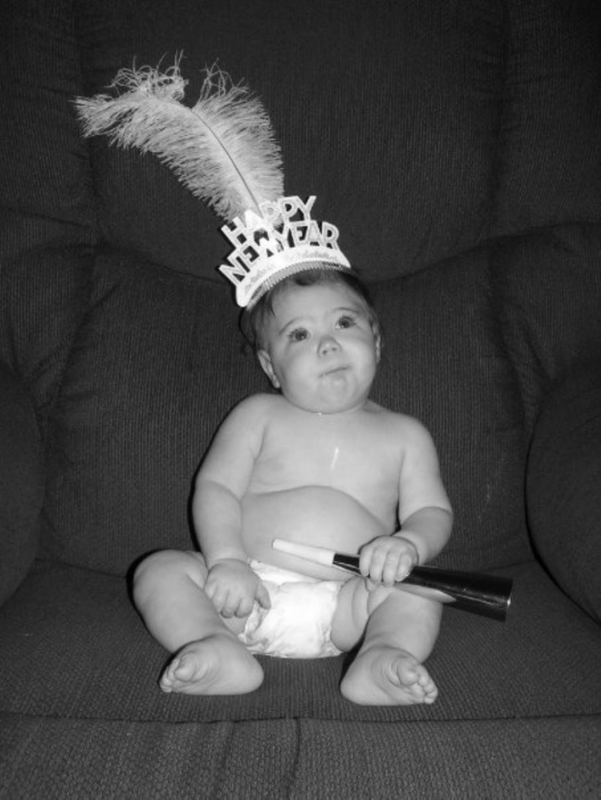 Dalton made it to his first New Year’s Eve, already shattering doctors’ bleak prognosis. Once Dalton was stable, it was apparent to his parents that he was late in meeting his milestones. At one year, he was not able to sit up, crawl, or hold his head up on his own. At two years, he was just starting to roll over, sitting at 3 1/2 and pulling to stand by 4 1/2. Dalton received therapy regularly after his CP diagnosis, and was seeing improvements every day. He just did things in his own time. Because of his frequent therapy, psychologist, and psychiatrist appointments, Dalton has also formed very close relationships with his therapists. Here’s a sweet moment between physical therapist Katie and Dalton. Dalton speaks, it’s just in his own language. His parents call it Daltonese. 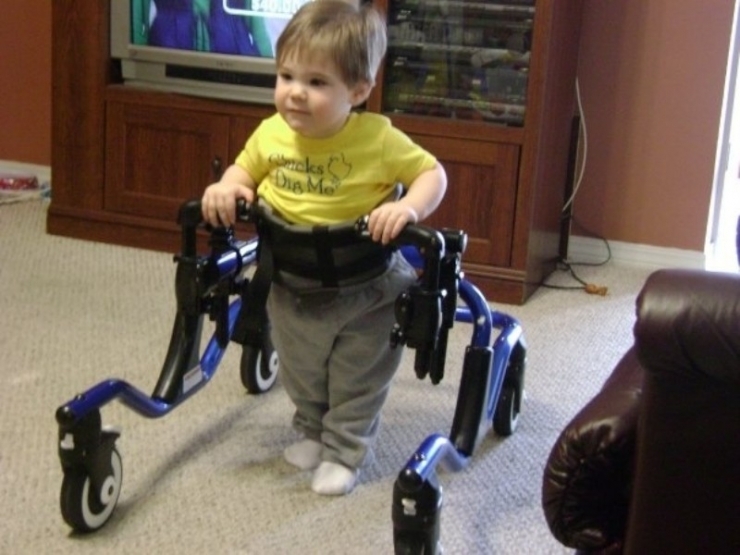 He can walk with his walker for short distances, but for the most part he’s wheelchair-bound. Giving Dalton the tools and resources he needs to continue advancing is also challenging. There are only about 300 other known cases of his deletion. That means that – for the most part – Dalton is carving his own path. Although in most ways he thrived under the support and love of his parents and therapists, Dalton’s sensory and social anxieties began to limit his daily life. He started to adhere to a very strict daily routine: the rigid schedule seemed to bring him comfort, easing his sensory issues. He watched YouTube videos and anything with Dora the Explorer. At home, he was happy. But he no longer had a desire to leave the house for the grocery store or any other destination, it was too overstimulating for him. This was also around the time that Dalton was diagnosed with Cortical Vision Impairment – in other words he is legally blind. And only a few months later, Dalton began seizing in the middle of the night. Although no one knows what caused it, Dalton was diagnosed Epileptic and prescribed medication. Following these two episodes, Amy and Shelton decided it was time to start looking for a service dog for Dalton. 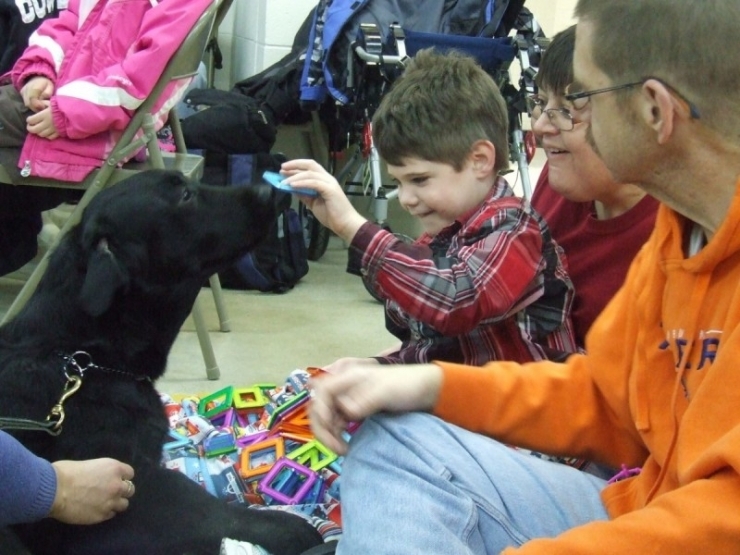 The couple began fundraising for a service and seizure alert dog for their son. They raised $13,000 in two months because of the incredible support Dalton had in his community. “It was amazing,” Amy said. Then, Dalton met Jasper. And last year, at Christmastime, Dalton’s life changed. Jasper became Dalton’s eyes, and gave him a way to see and experience the world. 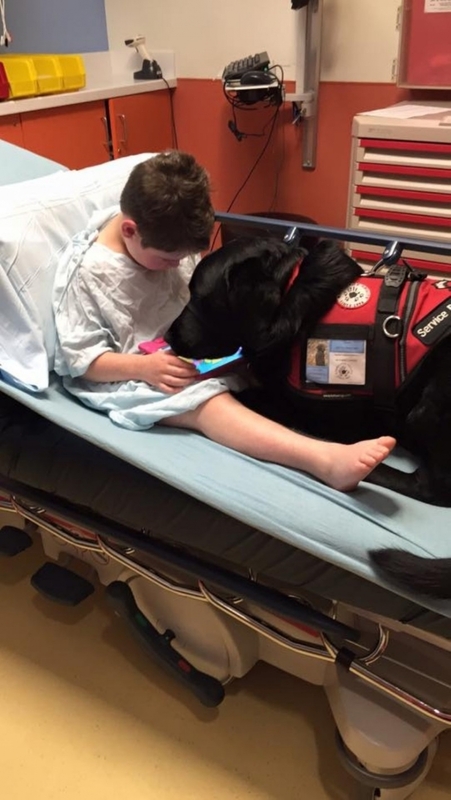 He became Dalton’s first responder, medical alert team, and constant companion. Most importantly, Jasper became Dalton’s best friend. And Jasper changed Amy and Shelton’s lives too. Literally. Because he was trained for seizure detection, mobility assistance, and behavior disruption, Amy and Shelton no longer woke up multiple times a night, terrified their son had suffered a seizure and passed away in his sleep. Now, if Dalton has a seizure in the middle of the night, they will wake up to the sound of Jasper barking. 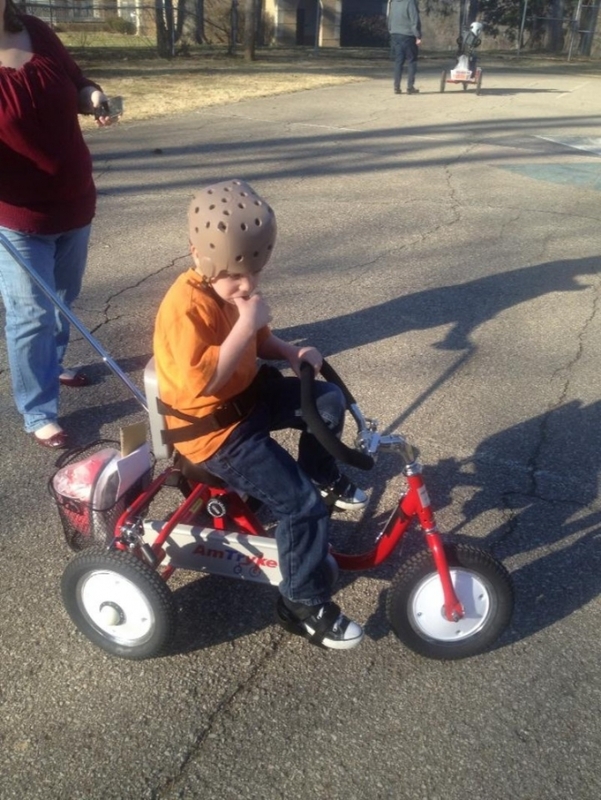 But the family’s transportation couldn’t keep up with Dalton’s sudden and positive change. They had officially outgrown their vehicle and Amy had already had two back surgeries from years of lifting Dalton and his equipment. And just recently, they received the final blow: Dalton was diagnosed with hip dysplasia, so being transferred in and out of his wheelchair was no longer a viable option. 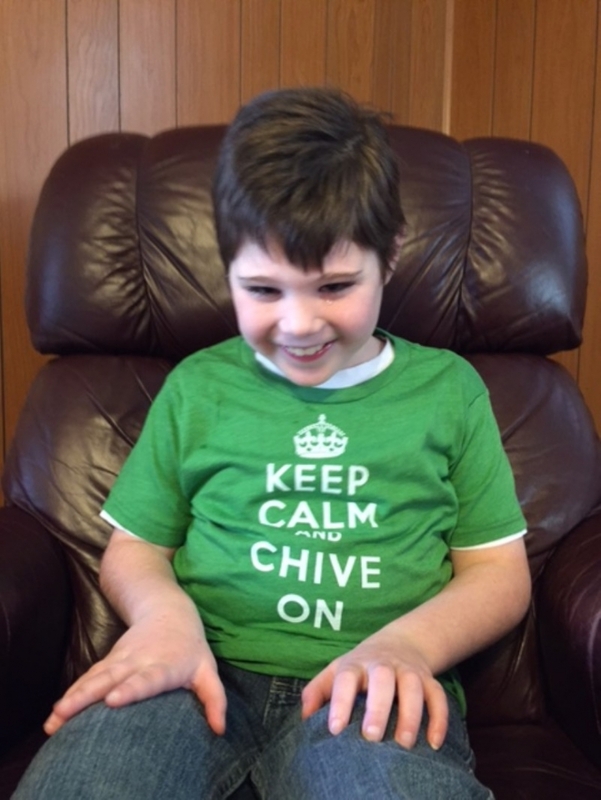 So Amy penned a letter, not to Santa – but to Chive Charities. 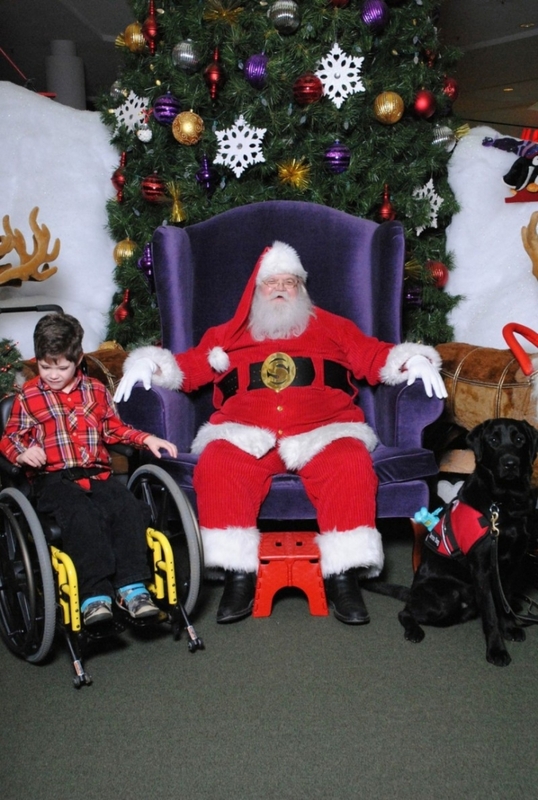 And this holiday season, the Chive Charities monthly donors brought to life Amy’s wish. 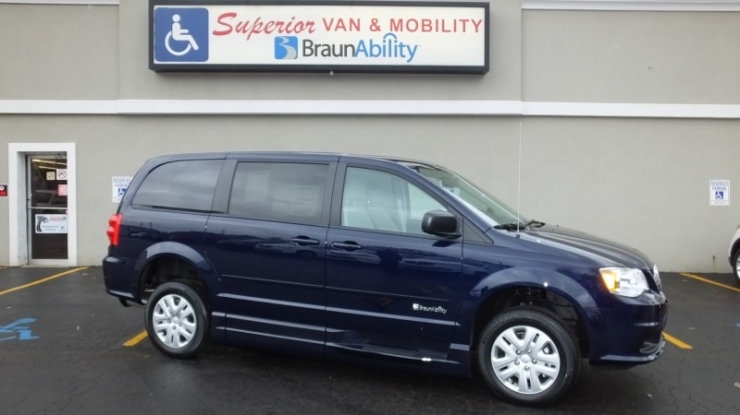 With a $47,000 grant, Dalton can take his new-found adventurous spirit on the road in his wheelchair-accessible 2016 Dodge SE. Jasper gave Dalton an invaluable gift: the gift of companionship. Now Dalton can see the world through his eyes and enjoy the years of experiences that will turn into cherished memories. And because of this blossomed friendship, our path intersected with Dalton’s and we got a chance to add to his happiness, safety, and security. And for that, we are very grateful. Every day of the year but especially during the holiday season, we are thankful for our Chive Charities members. You are a group of distinguished, generous, humble individuals who make up the lifeblood of our efforts. Without you, our dreams would never become reality, and Dalton’s wish would have never come true. Thank you for all that you do.